Portagrid is a purpose built system for remote and harsh areas, providing power for small to large dwellings, aid organisations, defence, agricultural and mining operations as well as off-grid rural communities. The large scale Portagrid units have been designed to provide energy generation and storage with optional additions of water filtration, CCTV, wifi capabilities and remote monitoring and controlling. 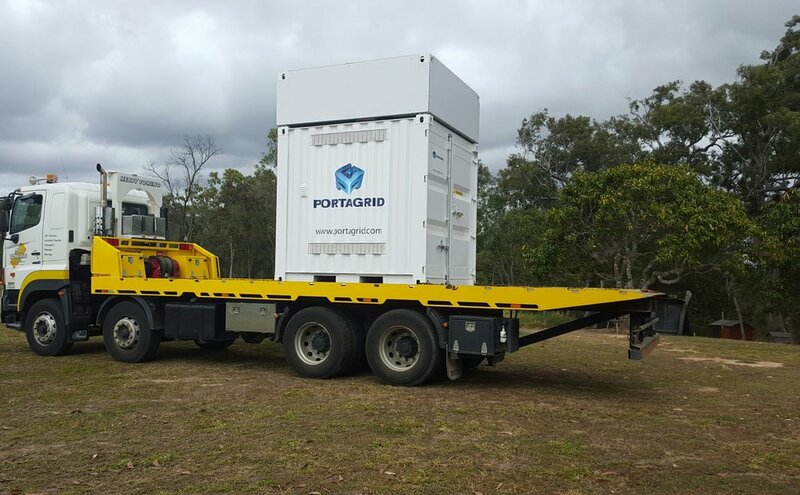 Portagrid consists of a modular, transportable container with the latest battery, inverter and generation technology to ensure a continuous supply of power that can be shipped anywhere around the world. Once delivered to site, Portagrid systems can be ready and operational within hours. Find out what Portagrid energy storage and generation solution is right for you.